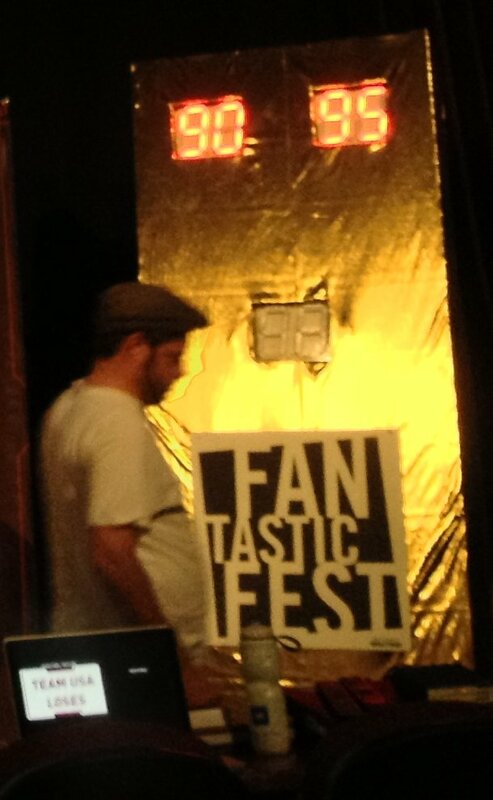 I made an electronic scoreboard for the Fantastic Fest Fantastic Feud. Fantastic Fest is a genre film festival held in Austin, specializing in horror, fantasy, sci-fi, action and just plain fantastic movies from all around the world. 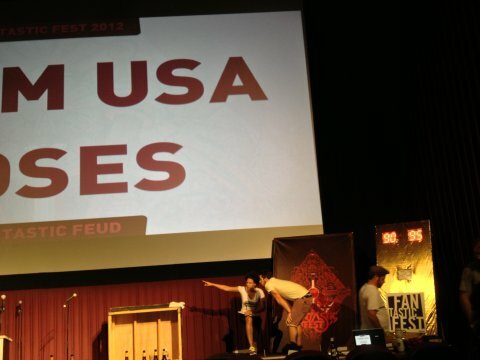 Fantastic Feud is a movie trivia contest in the style of Family Feud that is held during the film festival. In this version, U.S. film directors are pitted against international directors. I was asked to build an electronic scoreboard for the contest. In past years, the score was kept manually. I used 6.5 inch tall 7-segment LED displays for the two scores and the timer. I built and programmed a controller (based on a PIC microcontroller) that can display numbers as well as several attract modes. Below is a pic of the LEDs on my workbench. 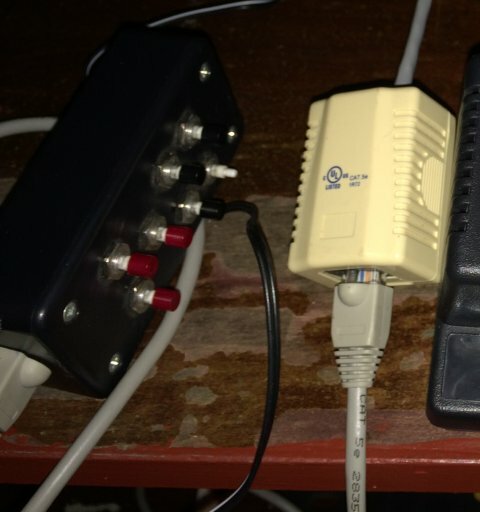 You can see the controller on a breadboard above the middle two digits. The LEDs and the controller were built into a large wooden frame which was covered in gold foil. Click on the image below to zoom in on the scoreboard as it was on stage at the end of the Feud.